Kids can jump and slide on our bouncers, Ride the Kid-Steam Train, Play Arcade Games and More! 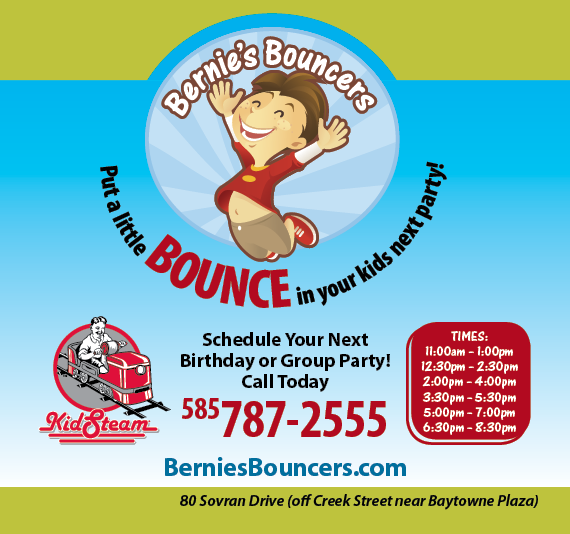 Bernie’s Bouncers offers 2 hour parties for up to 20 kids with a Private Party Room for Pizza, Cake & Gifts. Parties include invitations, juice boxes and all paper products.